RuscicaMusic Youth Choir meets for 2 different sessions, a fall session and a spring session, both running 12 weeks long. 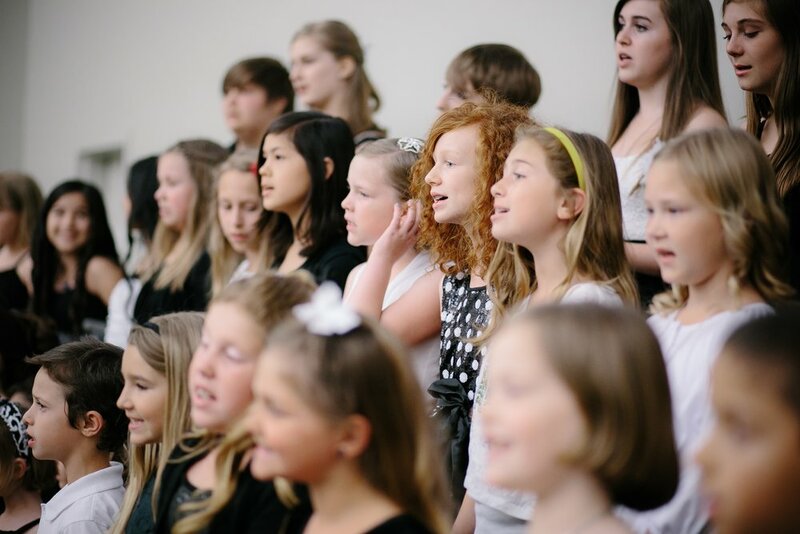 They perform a concert during each session and are the featured Youth Choir for the William Jessup University Christmas Concert Series. RuscicaMusic now also offers a one week summer camp! We meet every Tuesday from 3:30-4:30 (kinder - 4th grade) and 3:30-5:00 (5th-10th grade). Location: Spring Valley Church, Rocklin, CA.